I was born the only son of Joseph and Helene Flatley Schember, two loving and devoted parents. To this day, they remain the most influential people in my life. My mother was the heart of the family and obtained her Master’s Degree as an adult student to teach at St. Benedict Academy and Academy High School. My father attended Strong Vincent, and was a letter carrier, rising to the #2 position at the Postal Service during his career. I also have two sisters. Mary Anne is three years older and has become the family historian. Helene is 4 years younger and is a Rocket Scientist (PhD in Fluid Mechanics from Cal Tech). Neither spent their adult life in Erie, but we have always kept in very close touch. As a boy, I attended Irving Elementary and Sacred Heart Grade School. My high school years were spent in Saint Mark’s Seminary, where I studied to become a priest…and discovered basketball! I loved everything about the game, but especially the teamwork it required, and still treasure the Most Valuable Player and Sportsmanship trophies I received. Leaving the seminary was the most difficult decision of my life, and it was not made lightly. But it was time. I went on to complete my degree at Gannon College and that’s where I met my future wife, Rhonda Mahoney, who was a student at Mercyhurst College. After receiving a Master’s Degree in English at the University of Dayton, I took a job teaching at Elk County Christian in St. Mary’s, Pennsylvania because Monsignor John Hagerty thought I would make a good teacher. To this day, it’s something I still love to do with students of all ages! When I came back to Erie, I began my banking career as a teller. During the evenings, after my daytime shift, I studied to complete a Master’s Degree in Business Administration from Gannon. My 40 years with PNC Bank has been a great career, and I truly value the opportunity I had to work my way up through various departments. 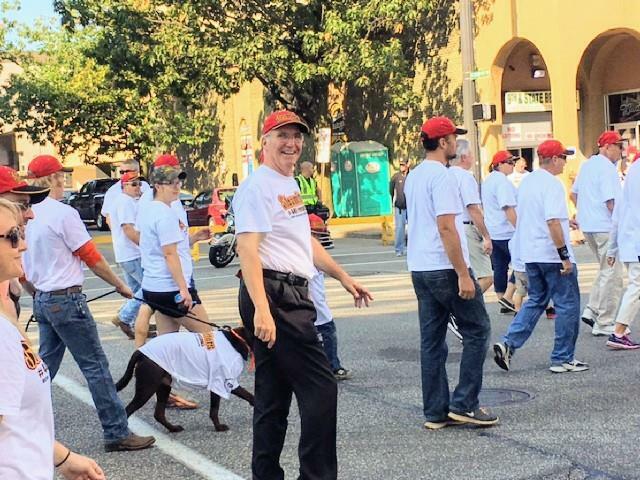 From Teller, to Regional Manager responsible for all PNC branches in Northwest Pennsylvania, I have managed or supervised hundreds of employees. I was also able to use my teaching skills in training classes, radio and TV shows. I finished my banking career as a Relationship Manager and couldn’t be more grateful to all the colleagues and clients I got the opportunity to work with. Through all this Rhonda was a big part of my life. She kept me grounded. We have three wonderful children; Jaime, Joe, and Jodi. Rhonda & I have raised our kids in the house where I grew up on West 22nd Street. Jaime and Joe went to Sacred Heart School and I had the pleasure of rediscovering basketball through them, this time as a coach. 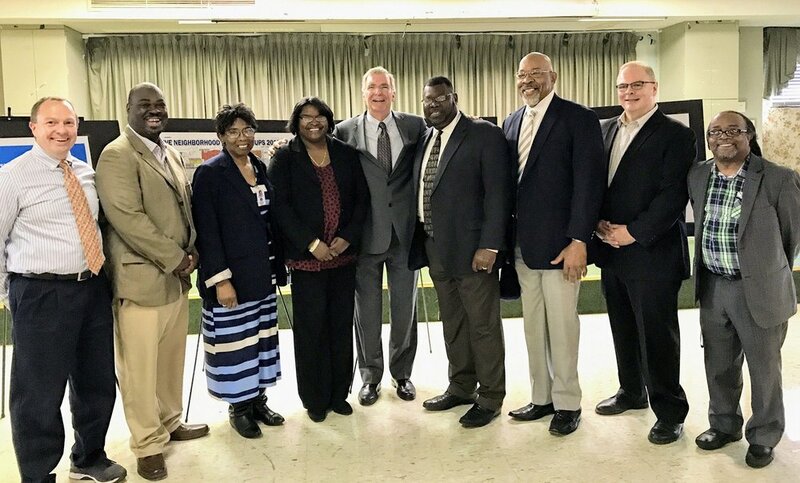 After they moved on to high school, I continued to coach many good (mostly female) basketball players for Sacred Heart and AAU teams for several years. Both Jaime and Joe have been good students and, more importantly, are good people. Jaime has an MBA from Penn State Behrend and is well on her way to a successful career in marketing at Google. Joe has a Graphic/Print Media degree from Rochester Institute of Technology and has spent his career in marketing, product management, and sales support roles including his current position at Mohawk Fine Papers. I am very proud and close to both Jaime and Joe. There is a special place in my heart for our daughter Jodi. 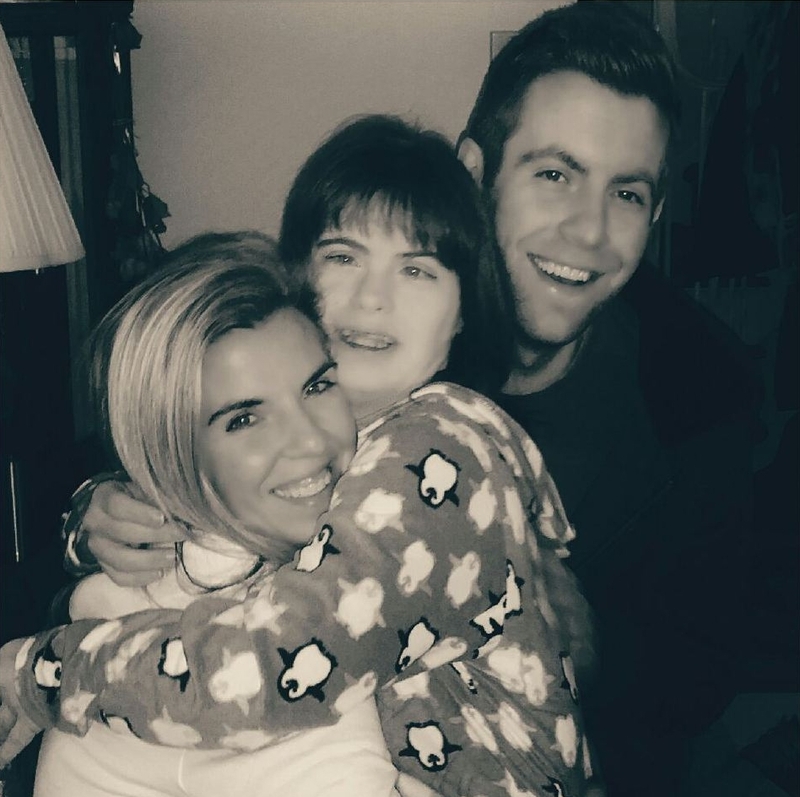 Jodi is Joe’s twin sister and she was born with Down syndrome. But Jodi is so much more than her diagnoses. She has made us all better people. I had lived in Erie my entire life, but never really appreciated the Dr. Gertrude A. Barber Center (now known as the Dr. Gertrude A. Barber National Institute) until Jodi came along. The caring professionals at the Barber Center didn’t just treat Jodi, they helped our entire family see and realize the possibilities for her. We were fortunate to know Dr. Barber, the exceptional woman whose vision still lives at the Center. Rhonda became one of the Center’s most active volunteers and I have contributed as much as I can, as well. 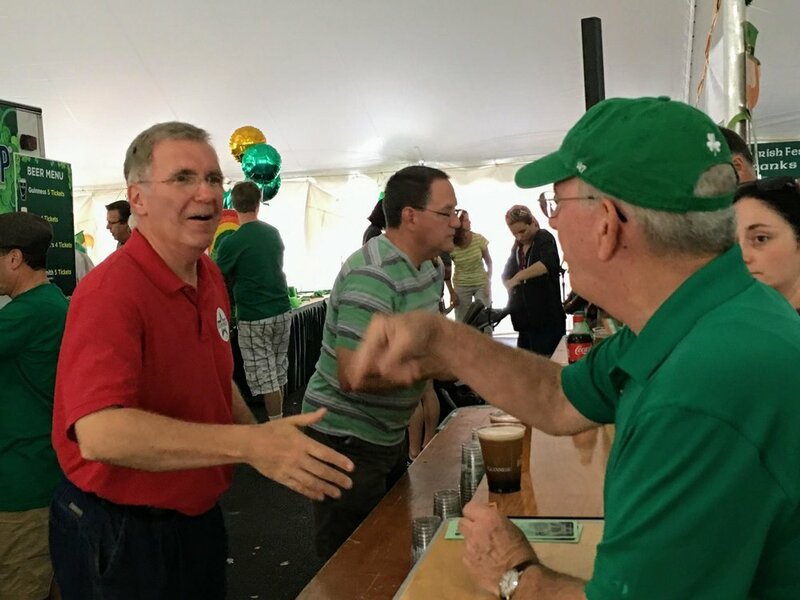 This is just a glimpse into my life, and I look forward to answering your questions about my vision for Erie. 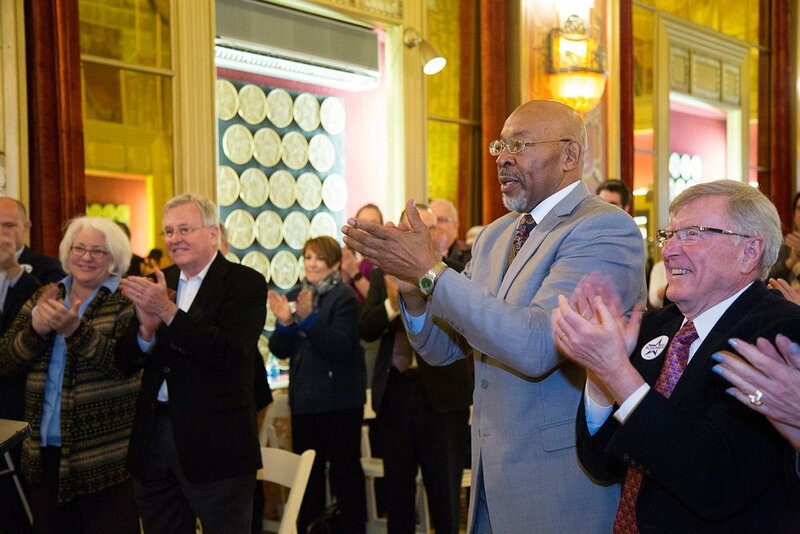 I enjoyed my service to the people of Erie as a City Councilman, and it feels like I have found what I was born to do. So if you’ll have me, I’m ready to be Erie’s next mayor. Enjoying a Friday night with family at one of our favorite local restaurants, Ricardos! 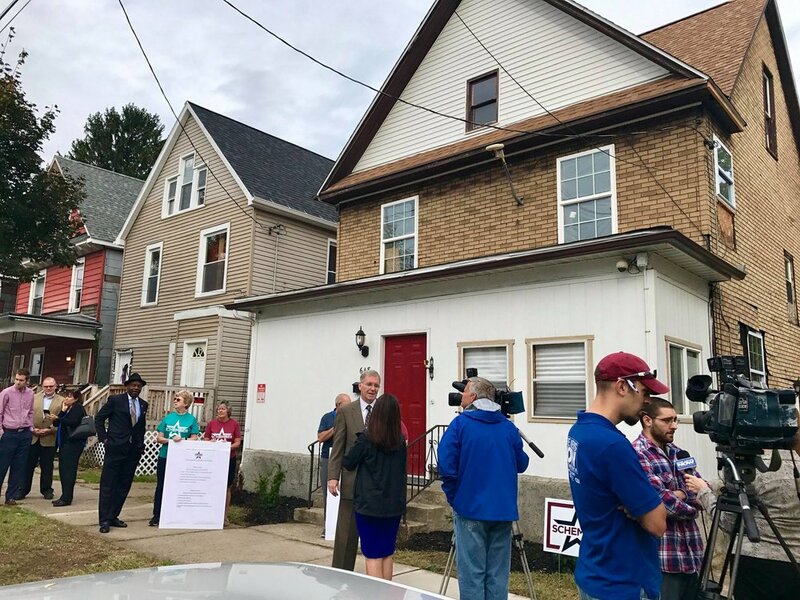 Joe outlines his Sensible Plan to address blight to media and supporters. 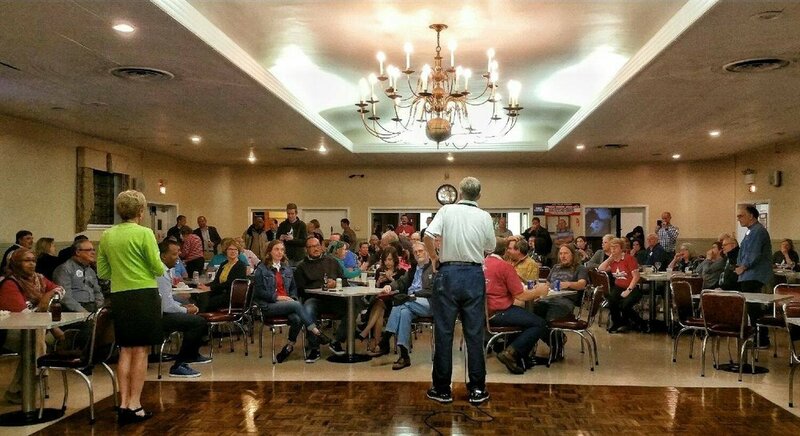 Joe addresses a packed house at the Polish Falcons Club. An Erie-native, Joe's local family is plentiful! 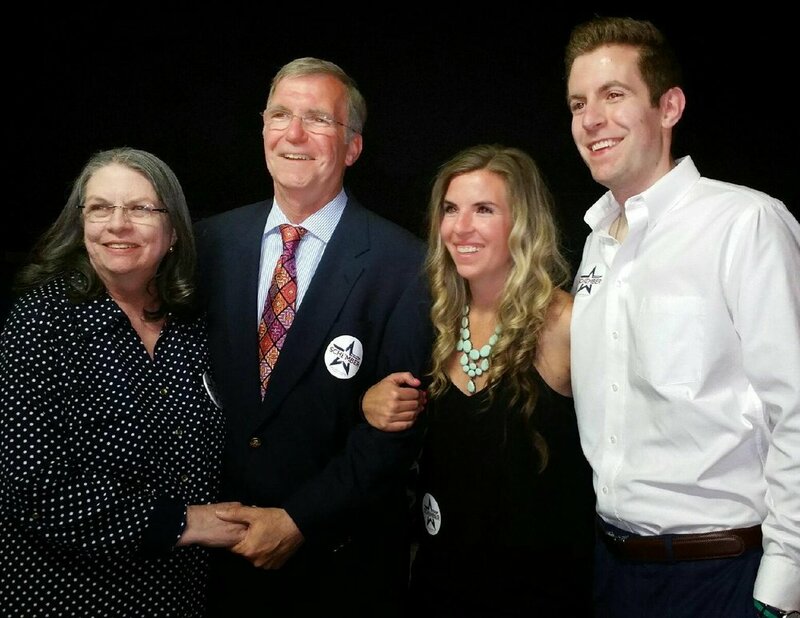 Joe and his wife, Rhonda, with supporters at an event. Joe and his son, Joe, at a campaign event with supporters. Another great day of door-to-door, thanks to help from Almi Clerkin & Rhonda. 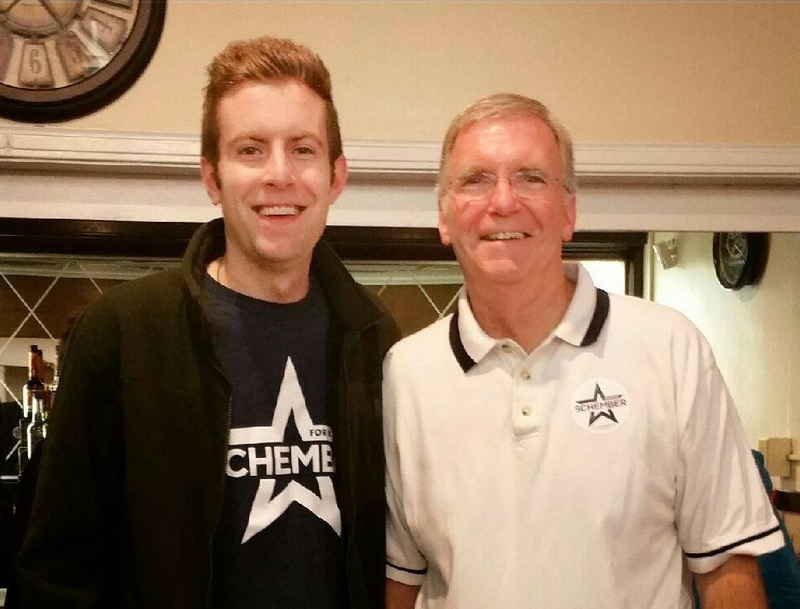 Thanks to Jamie Messenger and Ronald Messenger of Iron Empire Clothing, we have some new #SchemberForMayor t-shirts for Fall. 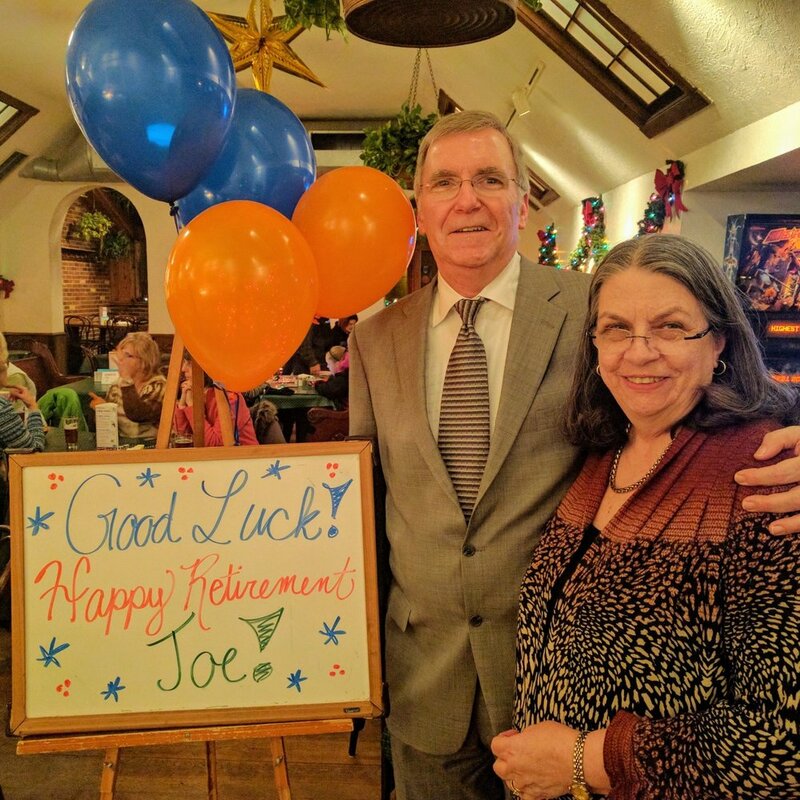 Volunteering has been an important aspect of Joe's life for several decades. Walking with the Steamfitters Union #449 in the 2017 Labor Day parade. Going door-to-door to hear struggles first-hand and talk ideas to build opportunity, restore hope, and transform Erie. 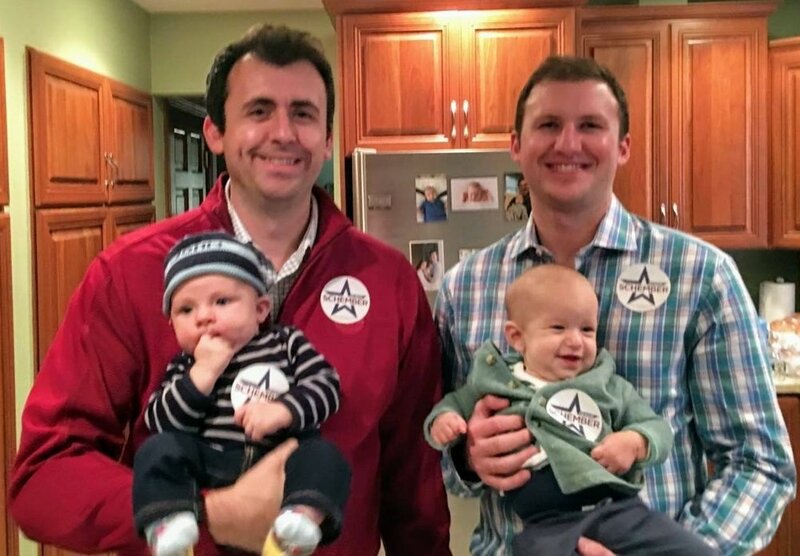 Joe's nephews, Kevin & Brian, and their sons. One of Joe's greatest joys of campaigning is going door-to-door to meet Erie-ites. At the unveiling of the Barber National Institute's new aquatics center mural entitled "Tranquility." It was funded by a generous donation from the Employees Community Service Fund of GE and created by more than 80 artists from community organizations working with Lee Steadman and BLOOM Collaborative. Erie has been lucky to have such a dedicated professional in the performing arts community as Almi Clerkin. 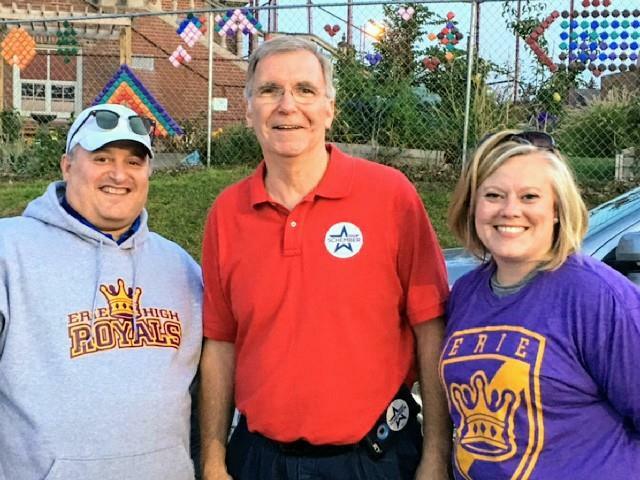 Attending the historic first game of the Erie High School Royals Football team. Running a 5K in support of The Arc of Erie and children/adults with special needs. Participating in a panel discussion on Erie's Immigrant and Refugee population at Chautauqua Institution. 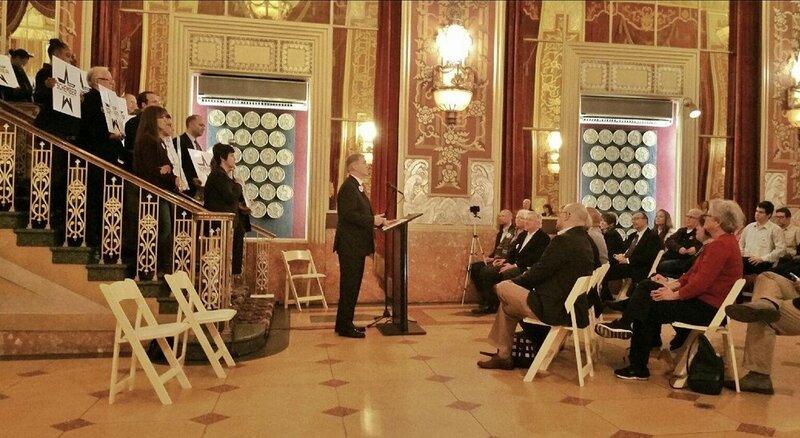 Honored to participate with Robin & Patrick Cuneo, Ben Speggen, Ferki Ferati, and John Downey. Listening to "Media, Religion and Ethical Conduct in the Digital World" at Chautauqua Institution. Also pictured, Robin & Patrick Cuneo & Ben Speggen. 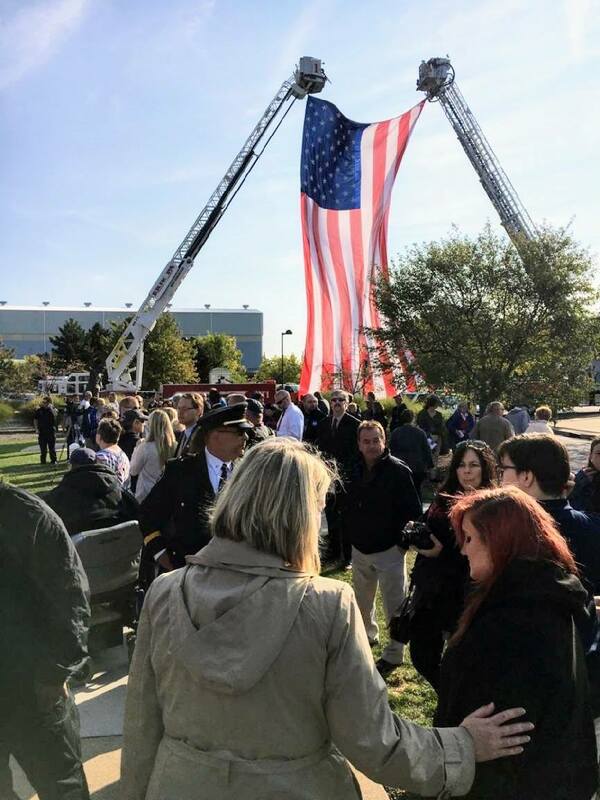 It was designed and painted by neighborhood children with the help of local artists Thomas Ferraro, Cathy Ferraro, Edward DeFrece Grout and Ashley Pastore. Joe & Rhonda with their daughter, Jodi, enjoying Zabawa Polish Festival. Attending the first annual Erie PAL (Police Athletic league) summer camp took place at Gannon University. Enjoying 8 Great Tuesdays on a summer night on the bayfront. Joe enjoying the International Unity Festival. Joe meeting Pennsylvania Governor Tom Wolf for the first time. 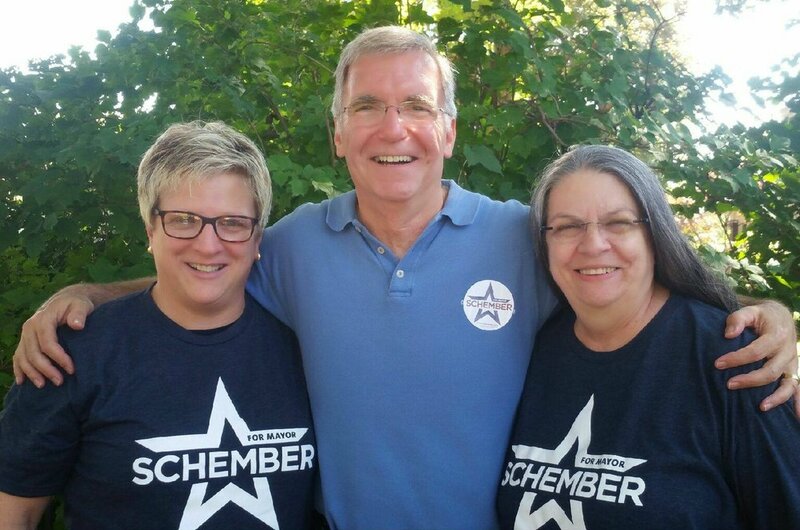 Joe's son, Joe, and other Schember supporter, Jenny. #TeamSchember volunteers at the ServErie event to clean up Erie High School. Joe & Rhonda with their daughter, Jodi. Joe, Rhonda, Jaime & Joe after his primary victory. 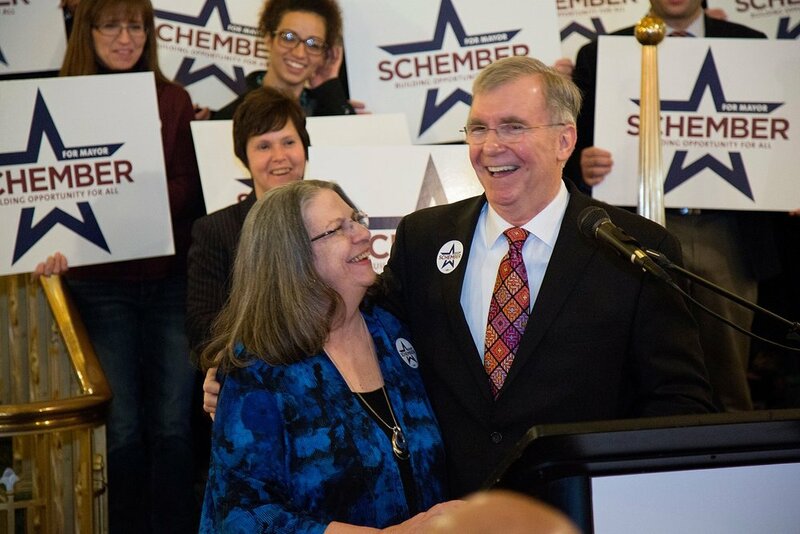 #TeamSchember on Primary Election Night. 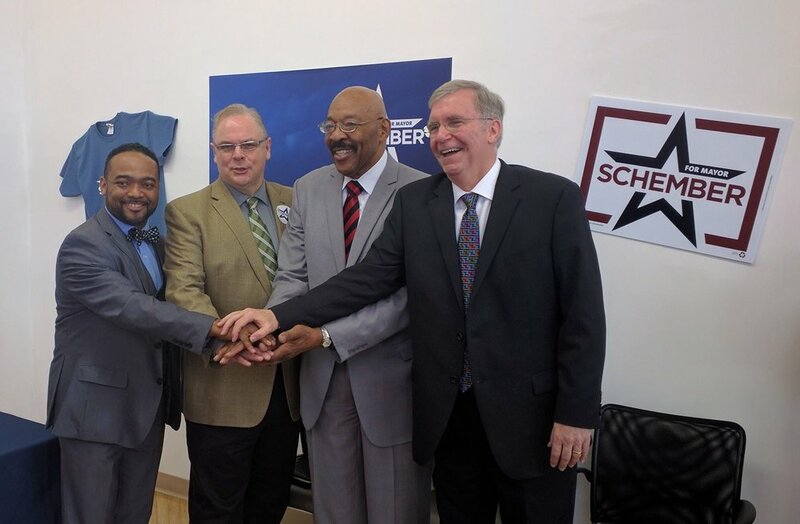 City Councilmen Endorse Joe Schember for Mayor. Curtis Jones, Jr., David Brennan, & Mel Witherspoon. Joe and his wife, Rhonda. Photo Credit: Maitham Basha-Agha for Erie Reader 2017. Outlining how he plans to build opportunity for all. Making his formal announcement for Erie Mayor. Crowds gathered to listen to Joe's vision at his mayoral announcement. Joe shares his vision and passion for Erie with a large crowd of supporters at his announcement! Erie City Councilman Mel Witherspoon gets the crowd fired up and explains why He's supporting Joe. 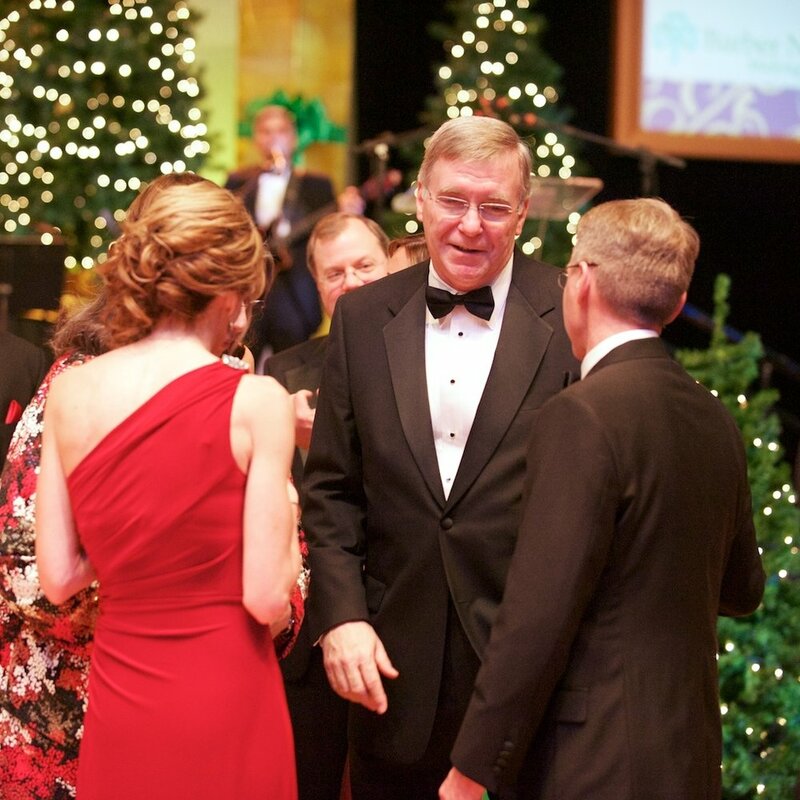 Photo from serving as the Chair Couple for the Barber Ball. 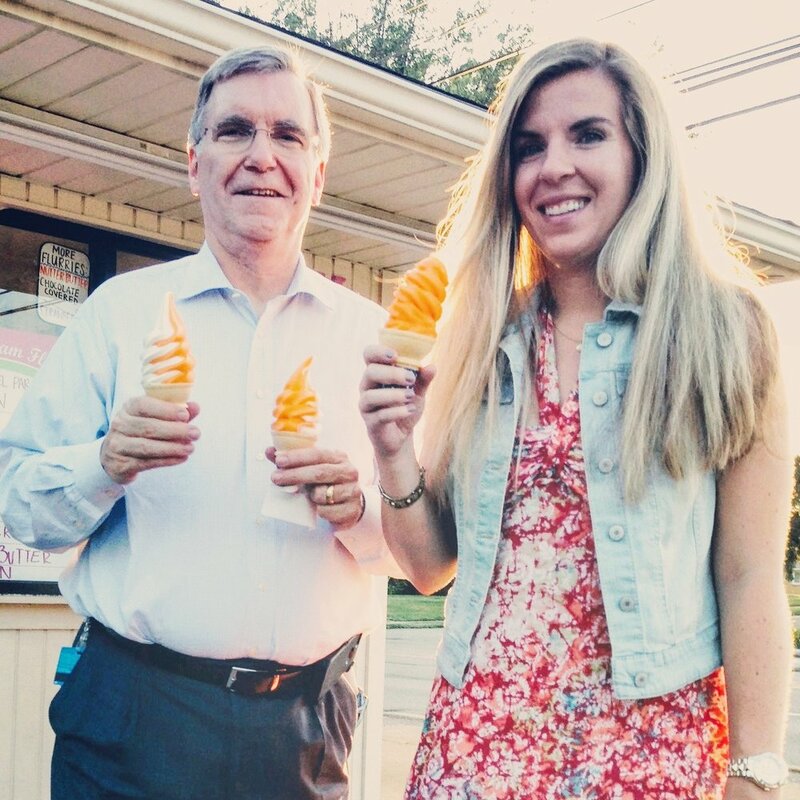 You can often find the Schembers at local ice cream establishments! Joe & Rhonda are active in the community and attend many charitable fundraisers and events.